Dr. Dubois is originally from Northeast, growing up in Connecticut and attending Smith College in Northampton, Massachusetts where she obtained a Bachelor of Arts degree in Mathematics. DuBois first became familiar with Texas during her time at the University of Texas, Medical School at San Antonio. After completing her internship in Internal Medicine and her residency in Dermatology at Case Western Reserve University in Cleveland, Ohio, she practiced for three years at Group Cooperative of Puget Sound in Seattle, Washington, where she served on the clinical faculty of the University of Washington, School of Medicine. In 1994, DuBois moved to Austin with her three children and has been in private practice ever since. 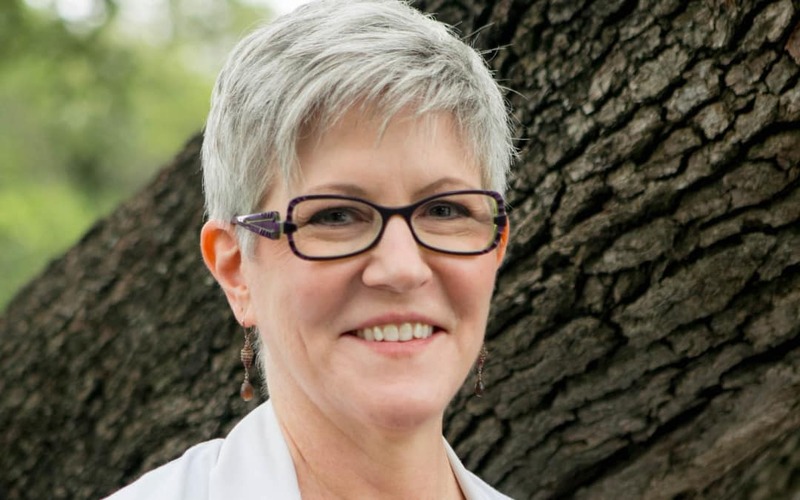 Like many Austinites, Dr. DuBois enjoys traveling the Hike and Bike Trail around Town Lake during her days off. What she appreciates most about the Capital City is its casual, laid-back atmosphere and her favorite restaurant is Fonda San Miguel. This summer she plans to spend a portion of her free time exercising her green thumb in her new vegetable garden. When we met up with Dr. DuBois, we wanted to find out her reasons for going into the dermatology field. Here’s what she had to say. Why did you choose to practice dermatology? Because it’s the best field. Seriously. You see all ages and genders; you can do medical, surgical, cosmetic, pediatric, and geriatric dermatology, as well as dermatopathology. You get to be a diagnostician all day, every day. That’s the fun part. What is your favorite thing about being an investigator for DermResearch? I like to get to know my patients so I enjoy the “catch up” conversation that occurs during each office visit. My favorite part of dermatology is diagnosing different skin disorders and conditions. What is one piece of advice you give all your patients when it comes to taking care of their skin over the long haul? Protect your skin from the sun! And don’t smoke. What is one misconception people have about dermatology? One of the biggest misconceptions is that dermatology is so easy, you can learn all you need to know from google. Dermatology is very complicated and requires extensive training and experience to appreciate the nuances involved in the examination and diagnosis of skin disorders. Dr. DuBois is a Board Certified through the American Board of Dermatology and holds memberships with the American Academy of Dermatology, the American Medical Association, the Texas Dermatological Society, the Travis County Medical Society, and the Dermatology Foundation Leader Society. Read more about Dr. DuBois and the rest of our team. Do you have questions about what we do at DermResearch? Don’t hesitate to ask!